Selecting the best nursing school in Washington can be difficult. To make the process easier first look for a school that supports students towards licensure and beyond. A great way to measure this is through NCLEX-RN "pass rates." We have ranked the top 10 nursing schools in Washington by analyzing current and historical NCLEX-RN "pass rates", meaning the percentage of graduates who pass the exam, out of the 37 RN programs in the state. Programs reviewed include schools that offer an Associate in Nursing (ADN/ASN), BSN, or Direct-Entry MSN Degree. The Pacific Northwest's crowning jewel, Washington boasts world class educational institutions, making it the perfect locale to earn your degree as a registered nurse. In fact, the American Association of Colleges of Nursing reports that in 2015,there were nearly 4,558 students enrolled in both undergrad and graduate nursing programs all throughout the state. Graduates of these nursing programs are poised to have very lucrative careers, as the Bureau of Labor Statistics estimates the average salary of a Washington state registered nurse at roughly $78,130 annually. An Associate's Degree in Nursing (ADN) is one of the quickest ways to become a registered nurse, with most programs lasting 2 years. Skills like processing patient information, math competency, analytical and critical thinking, as well as interpersonal communication are all honed in the ADN program. With over 25 schools from rural areas to urban Seattle offering an ADN program accredited by the Washington State Nursing Care Quality Assurance Commission, you have more than a few choices if you are looking for an excellent ADN program in the state. National accreditation organizations can offer value and legitimacy to nursing programs, so you'll want to look for ADN programs that have these affiliations. Some of the main national organizations to watch for include the Accreditation Commission for Education in Nursing (ACEN) and the American Association of Colleges of Nursing's Commission on Collegiate Nursing Education (CCNE). It is also very important to look for schools that hold local accreditation from the Washington State Nursing Care Quality Assurance Commission. You will want to ensure that upon completing the ADN program at your preferred school that you will be eligible to take the National Council Licensure Examination for licensure as a Registered Nurse (NCLEX). In 2015 alone, there were 2,523 students who took the NCLEX exam for the first time in Washington, and 88.8% were granted a nursing license. Bellevue College, located just outside of Seattle in Bellevue, Washington is just one of the schools in the region that offers an accredited ADN program. Tuition is often one of the main things prospective students worry about when trying to decide on a nursing program. It's important to remember that tuition is just one portion of what you'll be paying for. Textbooks, fees, and uniforms are all examples of costs you may incur, and these may or may not be included in the price of your school's tuition. As an example, the estimated program cost for the 2-year ADN program at Columbia Basin College in Pasco, Washington is $11,775 including tuition, fees, and associated costs such as uniforms and books. If you are eager to start a career in nursing as soon as possible, an ADN program is a great route to take. With a shorter, 2-year curriculum, you can be working as a registered nurse much faster than you could by going through a traditional 4-year program. With so many schools in the state that offer an ADN program, from junior colleges to technical colleges to state schools, finding a great program is convenient and easy as well. To broaden your horizons in the nursing profession, a Bachelor's of Science in Nursing (BSN) is an excellent option, with greater job opportunities and higher pay. A traditional BSN program lasts about 4 years, although there are shorter RN to BSN options if you already hold your nursing license. With more than 10 schools that offer a traditional BSN, and roughly 14 that offer an RN to BSN, you are bound to find a school in your region of the state with the right program for you. Along with the variety of schools that offer a BSN comes a big decision when it comes to choosing one. Just like choosing an ADN program, deciding on your BSN school should consider a mix of factors, including proper accreditation, positive program outcomes, and more. You can also consider the types of classes available; full-time, part-time, and/or online. If you are already a registered nurse, you'll want to look for specific RN to BSN programs. Gonzaga University, located in Spokane, Washington, is an excellent example of a school that offer an accredited BSN program. You can expect an undergraduate BSN program to last 4 years. If you are doing an RN to BSN program, the length will be shorter, depending on the program you choose and the classes you have already completed. It's always wise to check with prospective schools about specific program lengths. Figuring out the cost of a BSN program can be challenging. Not only will you have to factor in tuition, but also additional fees such as books, uniforms, equipment and more. At the University of Washington, located in Seattle, annual tuition for a resident is generally $9,694, not including any additional costs or fees. They estimate the cost for books at $825, room and board at $11,691, and clinical course lab fees at $200, just to name a few. There are two areas of interest for BSN programs. You can either go right into one as an undergrad, or go through additional schooling as an already-licensed RN. Either way, a BSN is going to open you up to a wide array of increased career and salary options. With so many BSN and RN to BSN programs all throughout the state, it's a logical choice if you are looking for a more advanced nursing career. To really hit the peak of higher learning in nursing, you'll want to look into to earing your Masters of Science in Nursing degree (MSN). There are more than 10 schools in the state that offer an accredited MSN program. This advanced degree can lead to nursing jobs including Clinical Nurse Specialist, Certified Nurse Midwife, and Nurse Practitioner, among other specialties. You must already hold a BSN if you want to move on and earn an MSN. An RN to MSN program can last roughly 3 years, depending on the school and the previous coursework the student has taken. As most nurses who opt to go for their MSN are busy working RNs, it is a good idea to inquire with your preferred school about the availability of flexible schedule classes or even online classes. Tuition for MSN programs can vary. For example, the MSN program at Pacific Lutheran University, located in Tacoma, Washington, is approximately $33,000. This does not include additional costs such as textbooks, graduation fee, lab fees, health requirement clearance, professional liability insurance, and other fees. 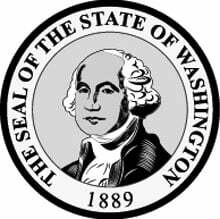 Washington State Board of Nursing regulations for nursing licensure is clearly laid out for both examination process and by endorsement. Washington state has an accelerated BSN program and a separate MSN direct entry program. The accelerated program is 12 to 18 months in length, while the MSN program normally runs for 27 months, both programs have clinical hours as a requirement before graduation. Courses that need to be taken prior to entry into the degree programs vary with each program curriculum, which means candidates should request information about the prerequisite requirements. There will be increases to fees if additional courses need to added or any other factors, such as housing should need to be included. Concept-based curriculum is what fuels the nursing program at Whatcom Community College in Bellingham, Washington. Graduates are given every opportunity to excel in simulations, theoretical practices, and clinical, which prepares them to become the exceptional nurses WCC is known to possess. Visit the Whatcom Community College nursing website to learn more. Peninsula College believes that nursing is an exciting career for people highly skilled in the sciences and who want to help others. The nursing program and Peninsula College prepares students with a keen scientific mind, a solid social sciences foundation, and focused attention to detail for a rewarding and challenging career. Check out the official Peninsula College nursing program. National passing rates are a measure that the graduates from Big Bend Community College in Moses Lake, Washington state need not be concerned. BBCC graduates are highly regarded in the nursing field, which attests to the quality of curriculum and seasoned faculty. Learn more by visiting the Big Bend Community College nursing website. The nursing program at Shoreline Community College is just outside the bustling city limits of Seattle, Washington. Opportunities to obtain real-world experiences from top of the line faculty, as well as partnerships with area hospitals, sets Shoreline graduates apart from other nursing programs. Check out the official Shoreline Community College nursing program. The nursing profession is rapidly changing, which requires curriculum to evolve as well. Washington state's Yakima Valley Community College is on board and is providing the change needed to produce competent, skilled, and confident nurses. Get all the program details by visiting the Yakima Valley College website. Evidence-based practice and critical thinking is the backbone of the nursing program at Pacific Lutheran University in Tacoma, Washington. PLU offers experienced faculty, high tech simulations, and hands-on experience to contribute to the successful graduation of their nurses. Get all the program details by visiting the Pacific Lutheran University website. North Seattle College in Seattle, Washington fosters lifelong learning in the nursing profession and excellence in health care. Nursing graduates from this program are above the grade and sought-after in the medical field. Visit the North Seattle College nursing website to learn more. Excellence in nursing is achieved by not only providing state-of-the art facilities and superior curriculum; it also entails supporting the students to work to their potential. Nursing graduates from Kirkland's Lake Washington Institute of Technology set the bar for excellence in nursing. Follow the link to learn more about the Lake Washington Institute of Technology nursing program. A partnership with the University of Washington Bothell provides students at Everett Community College in Everett, Washington the opportunity to continue on to a BSN degree without having to leave the EvCC campus. Everything needed to become a pillar of success is in one college. Check out the official Everett Community College nursing program. Located in the city of Spokane, Washington and sitting on both the Spokane River and the foothills of the Rocky Mountains. Gonzaga can offer students flexibility when it comes to the BSN and MSN programs, which makes successfully obtaining higher education easier to obtain. Get all the program details by visiting the Gonzaga University website.